Uncharted brings Nathan Drake to the big screen while Sony pushes back Spider-man films. The half-tucked hero from the popular PlayStation franchise Uncharted hasn't been cast yet, but Sony has set a date for the feature film, June 10th, 2016. The date was originally set aside for Amazing Spider-man 3, but it and the super-villain mash-up Sinister Six have been pushed back. 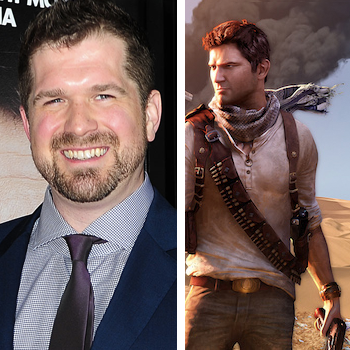 The Uncharted film has had trouble getting a lock on writers and directors, but will begin production in early 2015 under Seth Gordon. Gordon's best known in the gaming world for directing the documentary King of Kong: A Fistful of Quarters, but has also had plenty of work with comedy on multiple sitcoms and his biggest feature film, Horrible Bosses. Given the humor of the Uncharted games, he could prove an excellent choice to direct. The Uncharted film is not expected to follow the story of the first game exactly, but will take some of the more interesting points and build from there. And while there is still no news at on who will play Nathan Drake, I will still hold onto the impossible hope that Nathan Fillion grabs the role. Fillion has suggested using of inception to help him land the role.